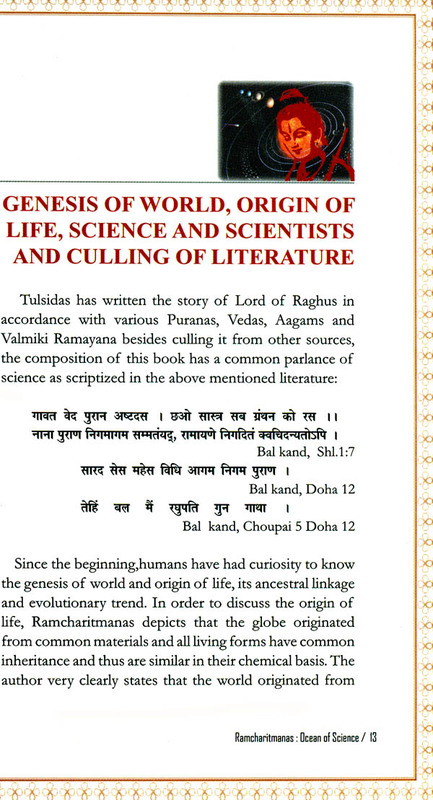 Ramcharitmanas Mahakavya of Goswami Tulsi Das is a comprehensive book, encompasses gist of all the six Shastras, Nigams, Agamas, Puranas and other scientifically rich spiritual books, but concentrated on Lord Rama and science. As a saint and well wisher of the whole world, he opted strongest tool of performance "SCIENCE" for well being of the globe. 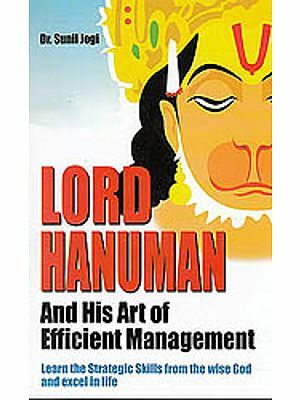 His means of presentation was language of the common people and mode was poetic so that without stress reader could read it with joy and the audience could equally participate and get tremendously benefitted. 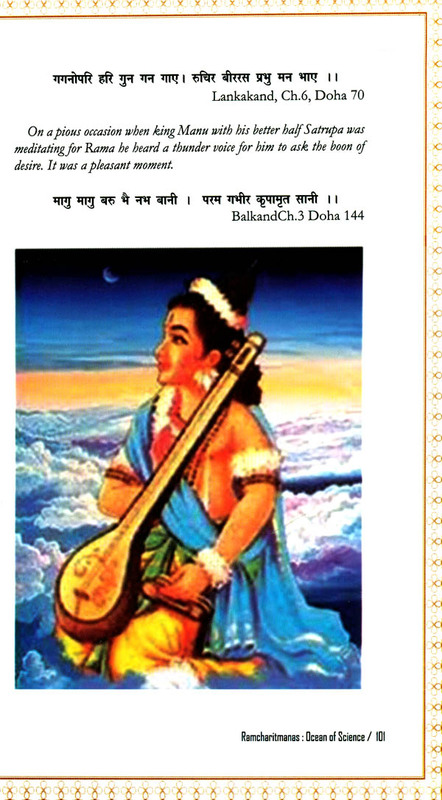 In the very first Shloka of Manas Tulsi appreciated Scientists & expressed confidence in Science. 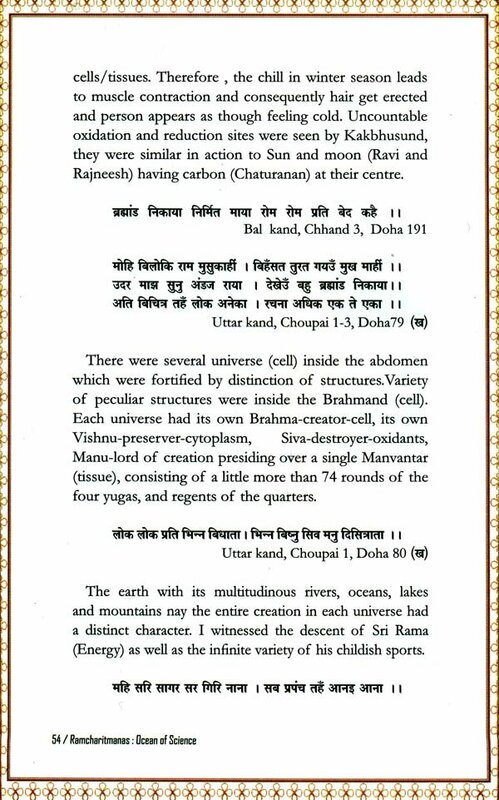 Similarly, in the last Shloka at the end of the book he stated being lucky to deal with Science. Tulsi had a strong belief in science, treating non-living and living equal but assigned very clear superiority to humans. In his opinion Scientists top the hierarchy among human beings. 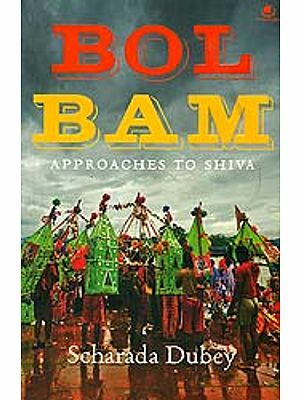 Very distinctly he spelled the "KARMA" ACT, "MAYA" and denoted it as the very basis of all happenings in the world besides its sole contribution in the evolutionary process. 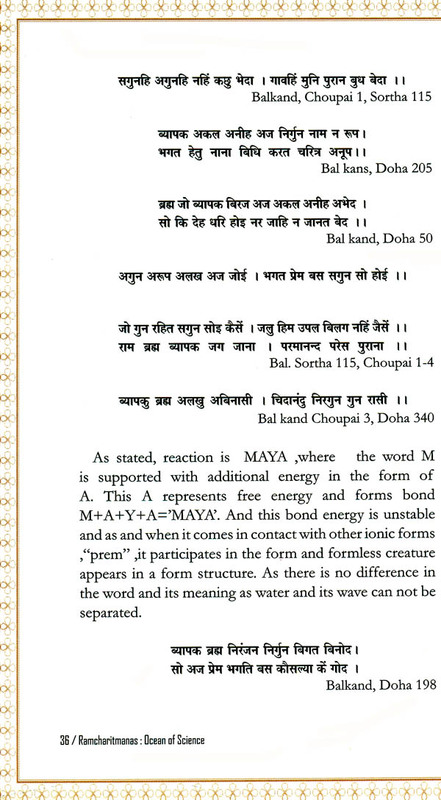 Also he designated 'Energy' as the central single component of worldly affairs and carbon for life in conjunction with different reactants under various physico-chemical states. God Particle has been dealt with very significantly in Manas ;several names have been assigned to it for the very purpose of explaining its omniscient and omnipotent nature. Tulsi could successfully establish the GOD PARTICLE, its role in genesis of the globe, origin of life, relationship between non-living and living by conjugation of energy and carbon, evolutionary process and supremacy of God Particle as compared to all other living beings. 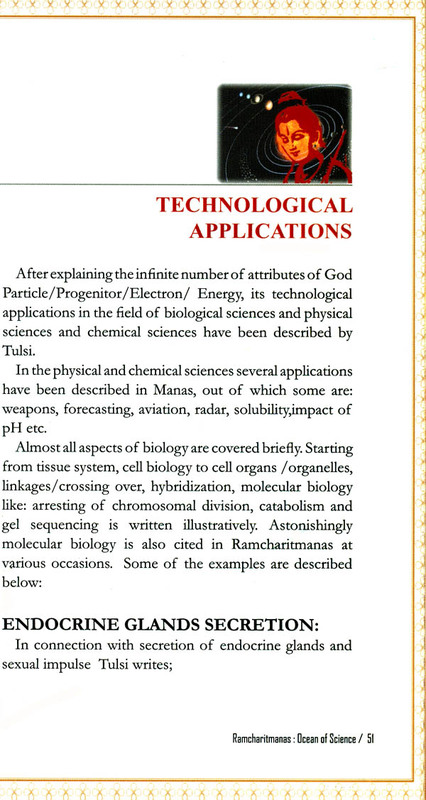 Application of science and technology is explained in detail. In physical science; RADAR, Missiles, aerial vehicles, drones, censored arrows, bridge engineering, forecasting system etc. are described. While, chemical science includes, origin of molecules, evolutionary process and chemical reactions leading to evolution and its applications like preparation of dairy products from milk, etc .However, in biological science, various aspects of environment, pollution control, biodiversity, tissue system, cell biology, laws of inheritance, crossing over, chromosomal hybridization, molecular biology etc. are dealt with in brief. It appears that the very object set by Tulsi was to establish RAM RAJYA, the stage of democracy in which nobody ever attains the state of sorrow, irrespective of time, deeds, habits and attributes. It is rather impossible' for a person to have canopy knowledge of all the fields of science. The position of Chairman, Central Pollution Control Board gave me an opportunity to understand the overall science in a broad way.